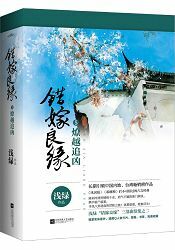 The fifth novel in the Mistaken Marriage series, “Pursuit of Murderer” is about Lou Chen (daughter of Lou Xi Yan and Qing Ling) and her adventures in Liao Yue. Within days of her visit, she encounters a dead body, which leads her to other mysteries and dead bodies, which she resolve with new-found friends. To most people, Feng Jin is a mercurial, dangerous man but to Shang Guan Jing who barged into his territory innocently, he is but a lonely man, ostracized by villagers. To keep this interesting companion by his side, he masked his impatience, his calculation, and played the meek, sensitive man to the hilt.